Michael ("Mike") Tames is an antiques and post card collector, Civil War and local history enthusiast, and long-time resident of Roanoke Island, N.C. He acquired this collection of Civil War letters over a period of nearly three decades, a letter, or grouping of letters, at a time. He maintains a web site, "The Civil War on Roanoke Island" that includes his personal story and vast research he has done. This collection, or assemblage, of letters encompasses 85 letters from the Civil War period written by, or to, servicemen from Union and Confederate sides, along with 15 related documents, copies of Mike Tames' research papers, and a CD-ROM disk. Materials are chiefly about engagements very early in the war: 1) on and near Hatteras Island, August, 1861; 2) the Battle of Roanoke Island, Feb. 7 and 8, 1862; and, 3) other engagements in northeastern North Carolina. There are seven (7) series: Series 1 consists of 27 letters of Captain William S. Chace of the 4th Rhode Island Infantry from October 1861 to July 16, 1862. Series 2 consists of 31 letters of Thomas Love of the 89th New York from September 29th and a notification of his death; all directed to his wife. Series 3 consists of 24 letters pertaining to Civil War activity in northeastern North Carolina, mostly single and unrelated to each other. 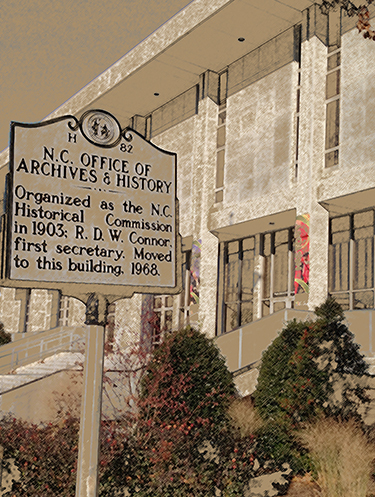 Series 4 includes 15 unrelated documents pertaining to Civil War activity in northeastern North Carolina. Series 5 includes 2 oversized items, both being letters from Series 3. Series 6 consists of research notes. Series 7 is a CD-ROM disk with digital copies of the original documents in this collection.